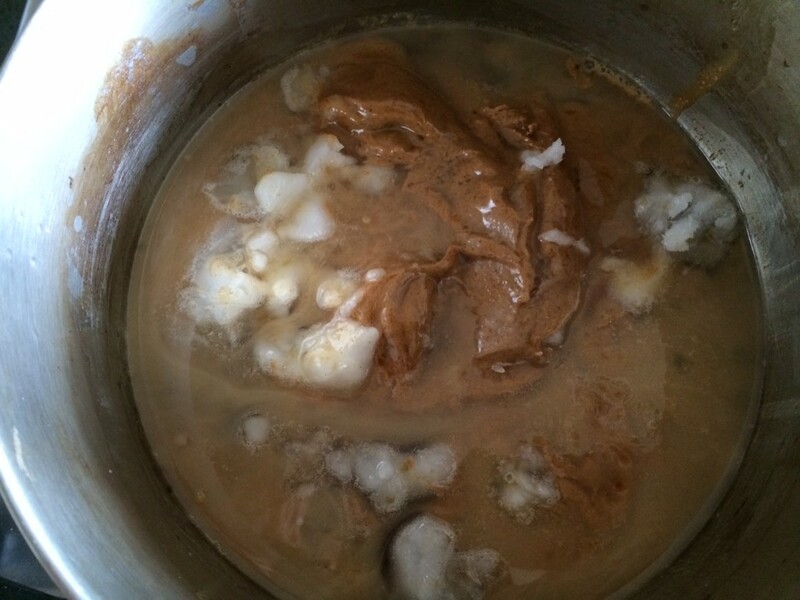 Nut butter, syrup, agave and coconut oil starting to melt. I used a combination of maple syrup and agave for my sweeteners but you could substitute honey or brown rice syrup if those are more to your liking. When you mix in the warm, wet ingredients, your chocolate chips will melt, spreading chocolate throughout the whole mixture. I like it this way because then I get a hint of chocolate in every bite. 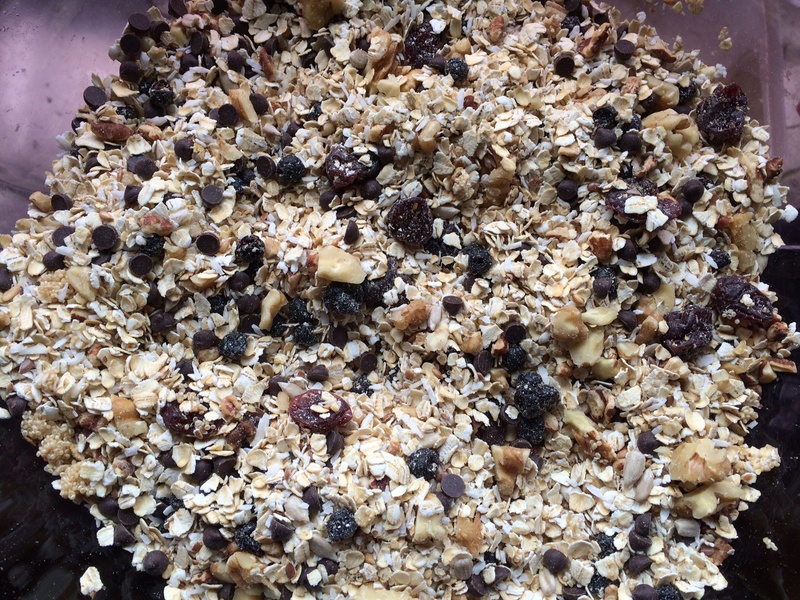 However, if you like granola with solid chunks of chocolate, I would wait to add the chips after the wet and dry ingredients have cooled a little bit. Wet and dry ingredients all combined. As you can see from the photo above, everything is lightly coated but not soaked. If using amaranth, soak for at least six hours and overnight if possible. 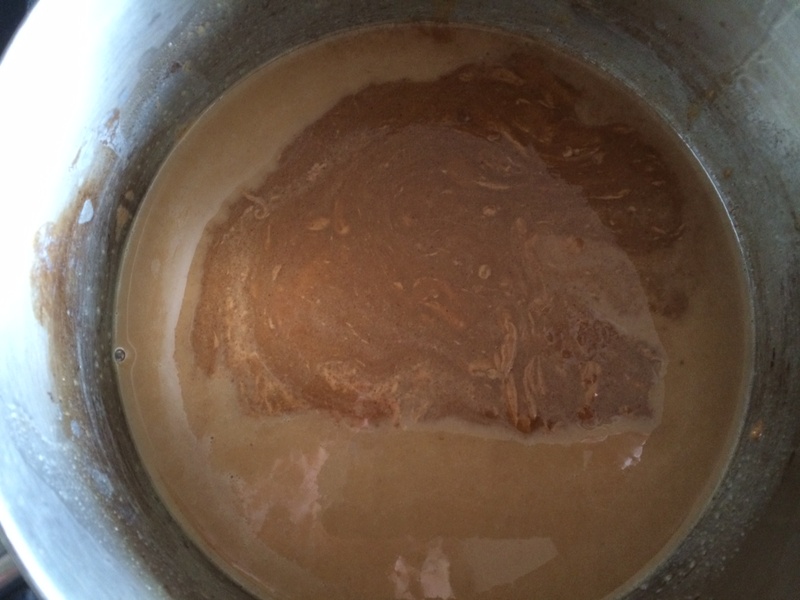 In a sauce pan, over low heat, combine almond butter, vanilla, agave, maple syrup and coconut oil. 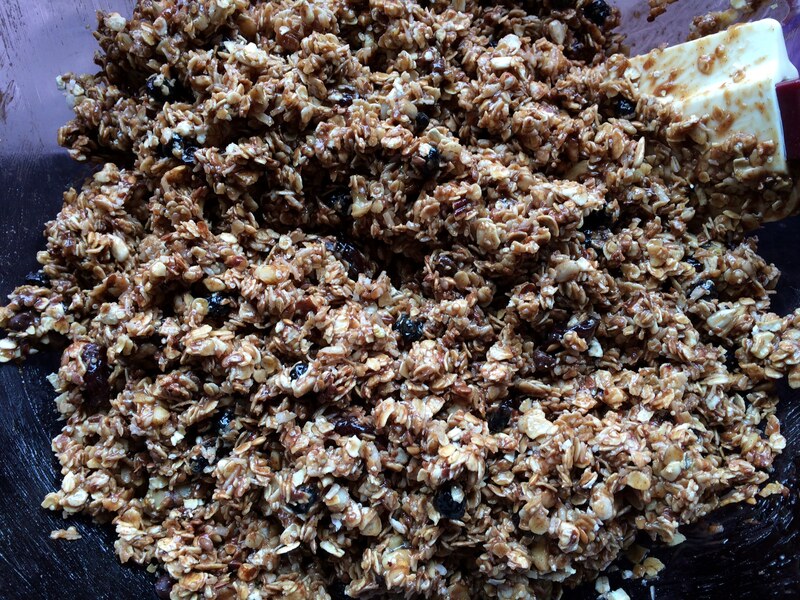 Stir until all dry ingredients covered with almond butter mixture. This post is part of a Friday Link party of Nap time Creations, Today’s Creative Blog, Live Laugh Rowe, Gluten Free Homemaker, The Nourishing Gourmet and The Shabby Nest. I am always wondering what I can have for breakfast too and this looks like a great tasty alternative. 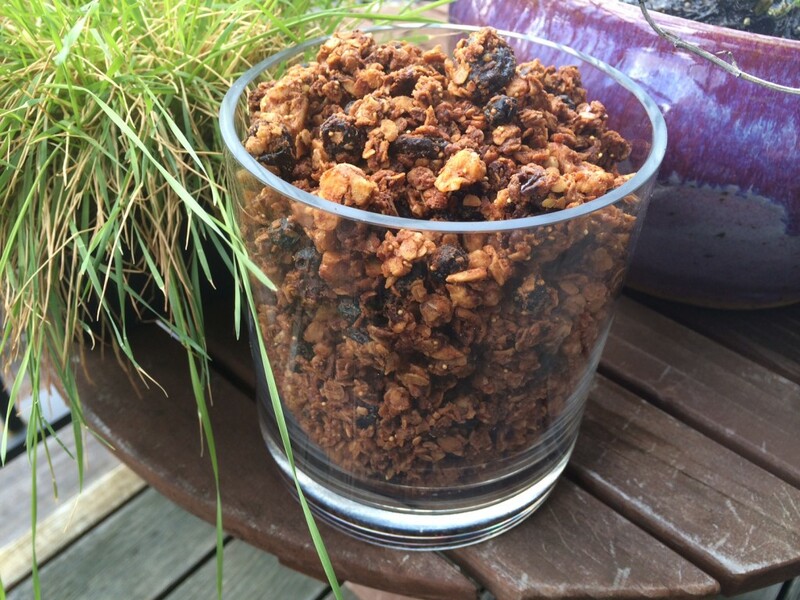 I make a vanilla almond granola but this one takes it up a notch with chocolate (my favorite), flax seeds and dried fruits. Thanks for sharing this on Gluten Free Wednesdays. Can’t wait to try it! 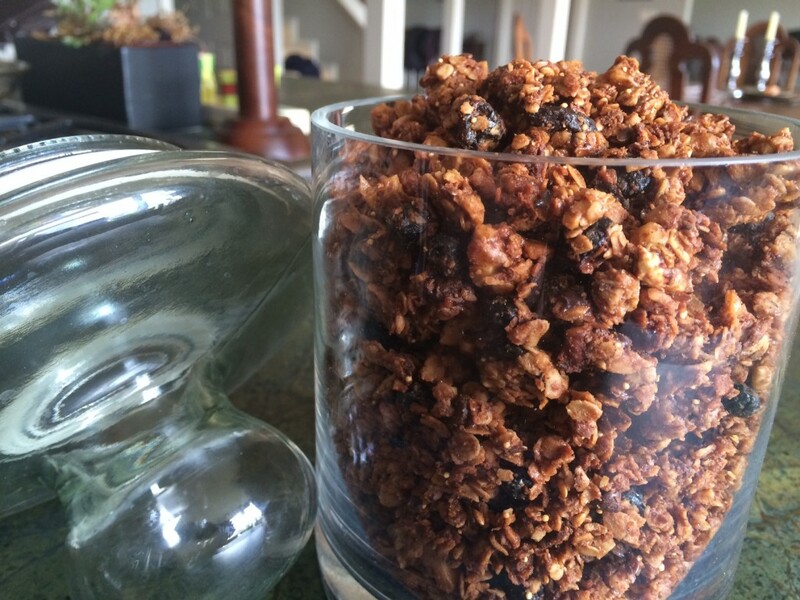 Oooh, the only thing better than “regular” granola is chocolate granola! Super yum! Thanks so much for sharing on Gluten-Free Wednesdays. What if you can’t use coconut our coconut oil? Doo you have a substitution? If I was not eating coconut, I would either leave out the coconut or maybe replace it with hemp seeds or more flax seeds. For the coconut oil, I would use whatever mild flavored oil you habitually use. 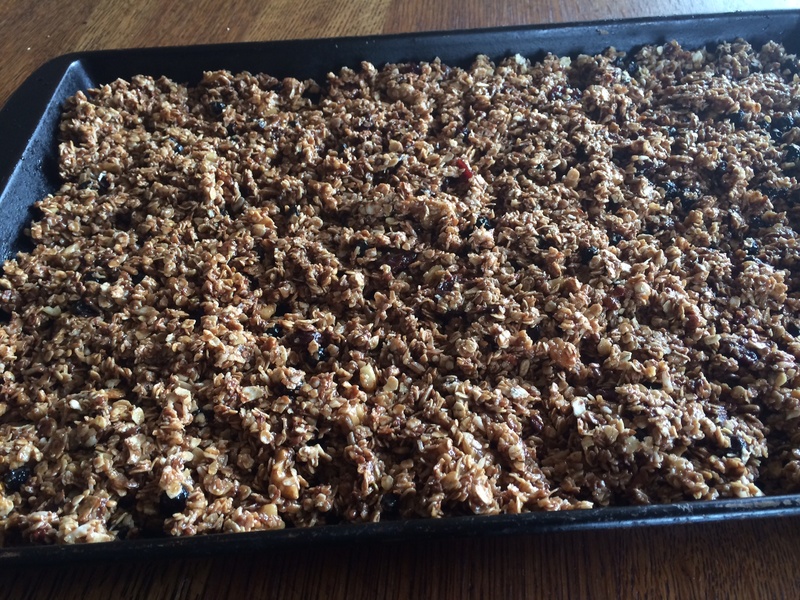 We’re big granola fans in our house and I love the chocolate and almond butter in your recipe. 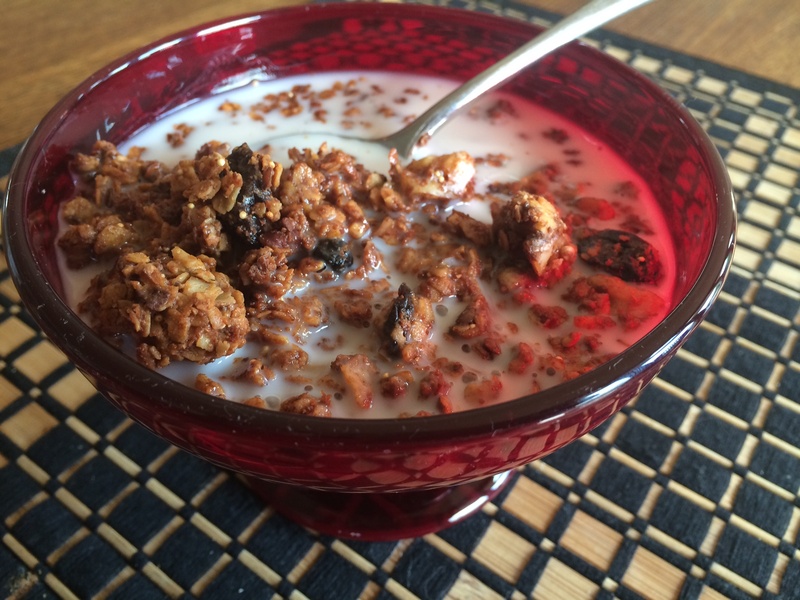 I often put millet in granola, but I have never tried amaranth so this is intriguing. I like this idea!